LoveJoy offers a seasonal herbal CSA focusing on the wild and organically grown local plants of the Central Oregon Coast. Four times a year ( Spring Equinox + Summer Solstice + Autumn Equinox + Winter Solstice ) I ship out, or offer local pick up of my wild bundles. Four or five thoughtfully and lovingly hand crafted herbal delights are bundled up with an educational newsletter that often contains recipes to empower folks to make their own herbal medicine. I have been an herbalist and herbal medicine maker since 1999. In 2015 I began offering my LoveJoy CSA. Each season I am blessed with the opportunity to provide my customers with healing, uplifting, nurturing and delicious herbal remedies, and body care delights. There are a limited number of shares available, so please order ASAP if you would like to receive this phenomenal bundle of goodies, which is accompanied by an informational sheet on each product and how best to use them. I’m so happy to share this Herbal CSA box with you! Each season I am blessed with the opportunity to provide you with healing, uplifting, nurturing and delicious herbal remedies and body care delights. And each season I am truly excited to share with you what I am creating. 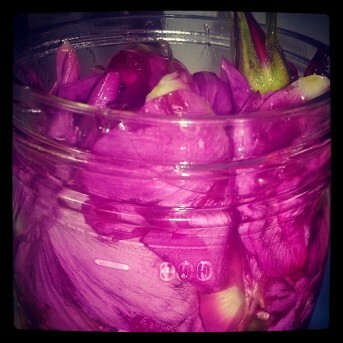 Rose is one of the oldest plant medicines known to humankind. She has been revered, consumed and made into medicine for thousands of years. She is the symbol of the divine feminine and is a messenger of joy, beauty and vitality. Rose has one of the highest vibrations of all flowers and she gently yet profoundly opens the heart. She encourages contentment by calming the nerves and welcomes feelings of divine love and bliss into your body, heart and soul. Rose is a gentle sedative, yet she rejuvenates and uplifts the spirit while relaxing the body. 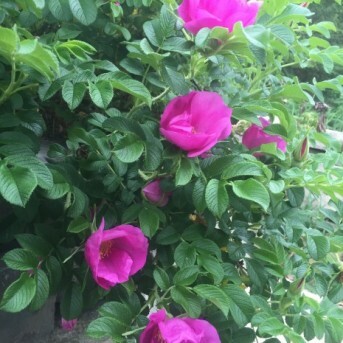 Essential medicine for anyone with heartache, grief, sadness, depression or lack of self-connectedness, Rose eases painful memories of the past and repairs those battered places in the heart. She restores the light within us and creates a sense of balance, harmony and well- being. 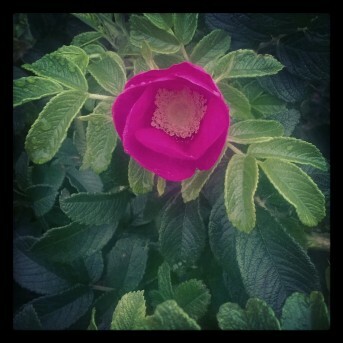 The lovely Rosa nutkana and Rosa rugosa are the species of Rose that I have been blessed to gather and utilize in creating all of these herbal delights. Rosa rugosa thrives along the breezy cliffs and rivers here in Newport, while Rosa nutkana prefers a gentler more mild climate and thus is found mostly inland five to ten miles. Rose begins to bloom in April and continues her beautiful bloom cycle all the way through September, with a sparse few still appearing even in October. Please note that all herbal knowledge I share is educational in nature. I do not treat disease or prescribe herbs. The FDA has not evaluated anything I have said. What I share comes from a combination of research, apprenticeship, study and direct experience with the plants.